Many years ago, there was TV show that featured a catchphrase, ‘and now for something completely different’, and it got so overused that it became a cliché. However, after having been playing this debut album by Italian quartet Syncage for a week or so and wondering the best way to introduce it in review, that aforementioned phrase seems the only appropriate way to open with. 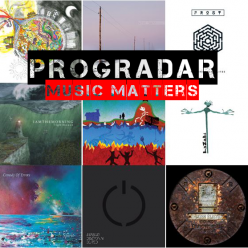 Considering there’s only 4 of them (aided on more of the symphonic sounds by a string quartet), they run the whole gamut of sounds and styles (including the art rock of School, with its catchy riffs and angular lyrics). The only thing I can say they even vaguely remind me of is from the first time I saw Ritual in concert, and it’s not because of the sound of the band (as Syncage sound nothing like Ritual), but more the impact they made, as I had never heard anything like it before in my life, and believe me, I mean that as a compliment. Having been together for the past ten years since they were teenagers, you can tell that the band have grown up together, as only musicians who have clicked and know each other as well as these 4 do can make this sort of intricate and exciting music. From the wonderful sounds on Still Unaware, with some haunting violin pieces courtesy of Matteo Graziani (who also provides the retro Hammond sounds), they mix and match genres so adeptly, switching from free form jazz and into a bit of acoustic guitar and back again with aplomb, none of this is showing off, it’s just what the music demands. I have to also mention the amazing vocals of Matteo Nicolin as well, as he has such a diverse range from a soaring falsetto to more subtle vocals. He treats his voice as another instrument to put into the mix and it’s this attitude that makes the vocal sound on this album unique and distinctive. There is an excellent juxtaposition of light and dark on this album, evident on tracks like Skyline Shift, which has some amazing guitar work from Nicolin, whilst Matteo’s brother Riccardo is a superb drummer/percussionist. He helps to build the sound in tandem with Daniele Tarabini, who provides some superbly fluid bass lines, and helps flesh the sound out with his flute work. Stones Can’t Handle Gravity is a fantastic piece that showcases the acoustic side of the band with flute and violin adding so much to the sound. Every track on this album is superbly produced and put together, you can tell that they’ve really put their hearts and souls into this album. There are two epics on here. Edelweiss, clocking in at over 14 minutes, starts with some wonderful spoken word lyrics, creating the idea of a story rather than just a song, whilst the violin builds and builds with some amazing guitar work that heads into heavier territory. As long songs go, it’s more than just a song, it’s a musical journey that is well worth going on and I can imagine that live it’s pretty bloody epic. 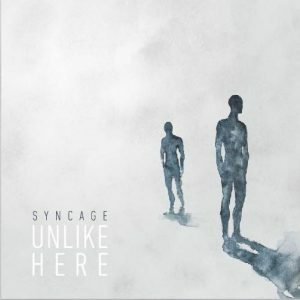 The other epic that closes the album, Unlike There (at just over 9 minutes long), is a microcosm of everything that makes Syncage great, from some truly astonishing string sounds that flow through the track, to the combination of the drum and bass sounds as it flows and grows. Add in some brilliant guitar and keyboard work throughout and then those vocals, wow! had I mentioned how great a vocalist Matteo Nicolin is? This is an incredibly intelligent, superbly performed and brilliantly realised debut album, from an assured, confident and fantastic new sound. All credit to Syncage for pulling this amazing album together, and all credit to those Bad Elephants for having the vision to release something as groundbreaking as this.